Backstory, last year took a trip to Newport, RI and stopped by Grenon's. 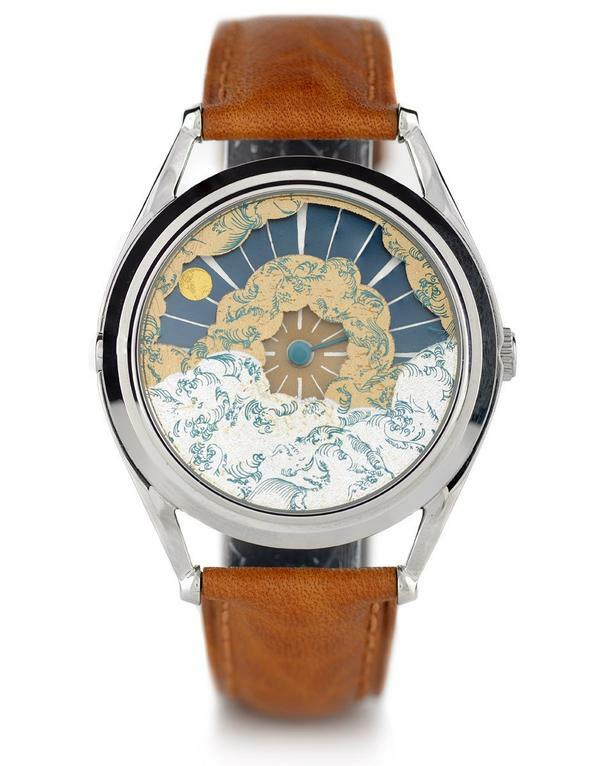 Saw the Schaumburg Moon watch and was smitten. Then I was told the price and immediately was not smitten. I think even if I had the means to spend $5k+ on a watch, I couldn't. So been on the hunt for something of a similar nature. And even though both of those are still too pricey for my tastes, the major problem I have with all three is they're autos. Normally, I prefer an auto to a quartz. 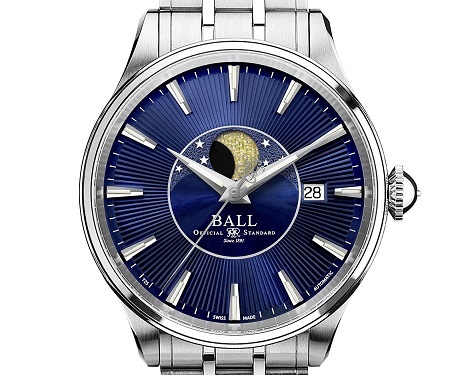 But for a watch that I may wear on seldom occasions, I don't want to have to set a true moonphase watch every time. I know I could buy a winder, but I don't want one. One of my many quirks. 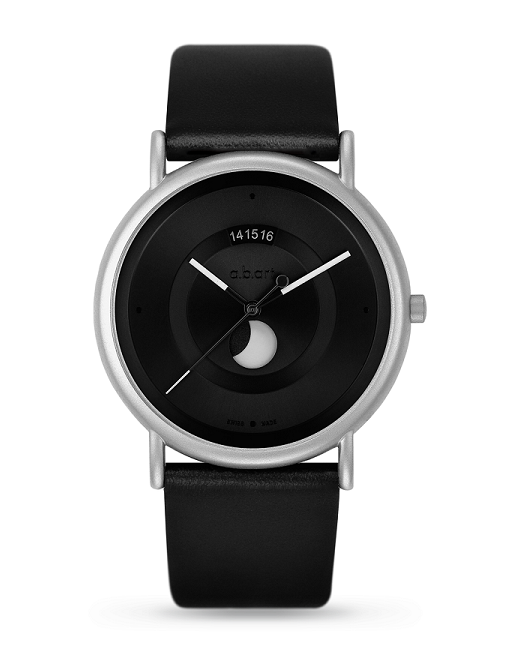 * Looking for a true moonphase watch. * Want the moon to be prominent or large. * Want it to be quartz. But what kills that one for me is the three date window. I really find that display feature very annoying to the point that it's a dealbreaker. If the A.B.Art had a non-date version, I'd own it. Anyone have any suggestions on another watch? So as a last try I just searched ebay. Maybe a vintage piece is the way to go? 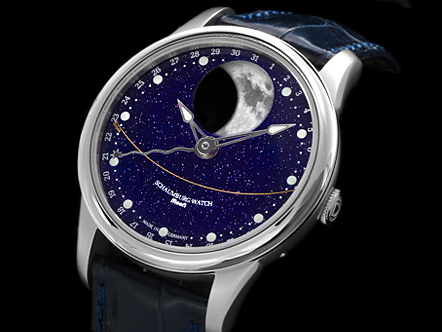 If that Mr. Jones had a true moonphase, that would be close to what I'm looking for. I was in the same situation last summer. 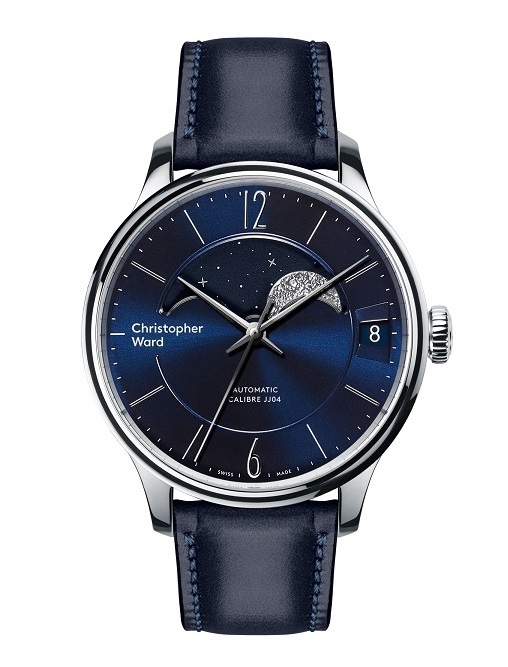 Wanted a quartz moonphase like the old Christopher Ward. After researching all I really came up with were a couple Zepellin watches, and a couple Rotary models. 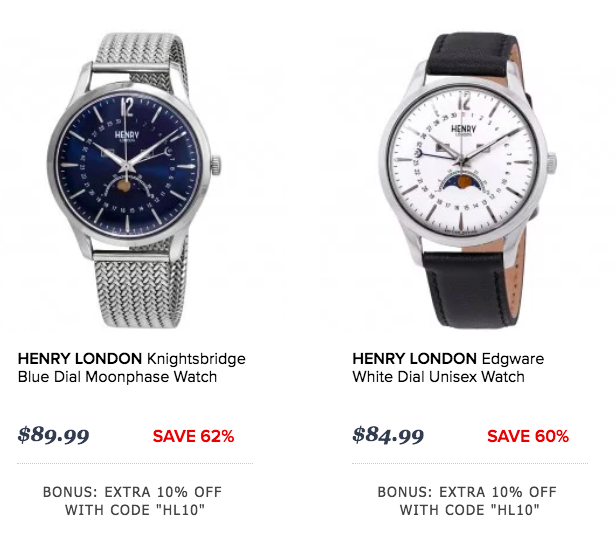 Edox has a few too where the moonphase is pretty large, and in January I bought an automatic Edox moonphase and I should have it here in a few days (sent it to my other house). This Mr. Jones is really cool too if I was leaning towards the sun/moon version. Not sure if this matches your requirement about large moon. Free shipping over $249 though. I'll take a closer look at that Xeric. Forgot about that one. Not a huge moon but certainly prominent. $129 at Joma seems to be the best current price but I do remember this popping up on WUS a while back for under $100. Several other color combinations available as well. I own the Frederique Constant moonphase listed in this thread and love it. Thanks for the feedback. 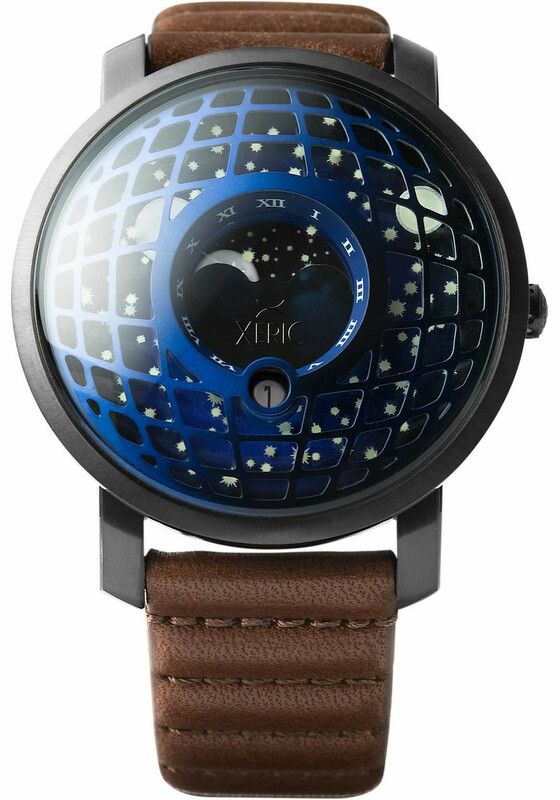 To me, the moonphase window seems so tiny in the picture. Went ahead and going to give the Xeric a try. The model shown above was $199. The KISS10 promo code brought that down to $180. However, noticed they had a "MAKE OFFER" button, so I gave it a try. Submitted an offer of $149, got an immediate counteroffer of $161. That was an additional 19+% discount, can't complain about that, so pulled the trigger. Also qualified for free USPS Domestic First Class shipping (orders over $99+). Not a bad deal if I like it. AND they have a 30 day return window if the 44mm looks monstrous on my wrists. That’s quite a deal you have there! I have been interested in the Xeric but was concerned about the clutter on the dial. Read comments that lume is lacking. Could we have pictures when you receive the watch? By all means. Lume is not a big factor for me, so not an issue if lacking. Right now the size of the watch is my only concern. Last edited by TheJohnP on Thu Feb 14, 2019 10:11 pm, edited 1 time in total.